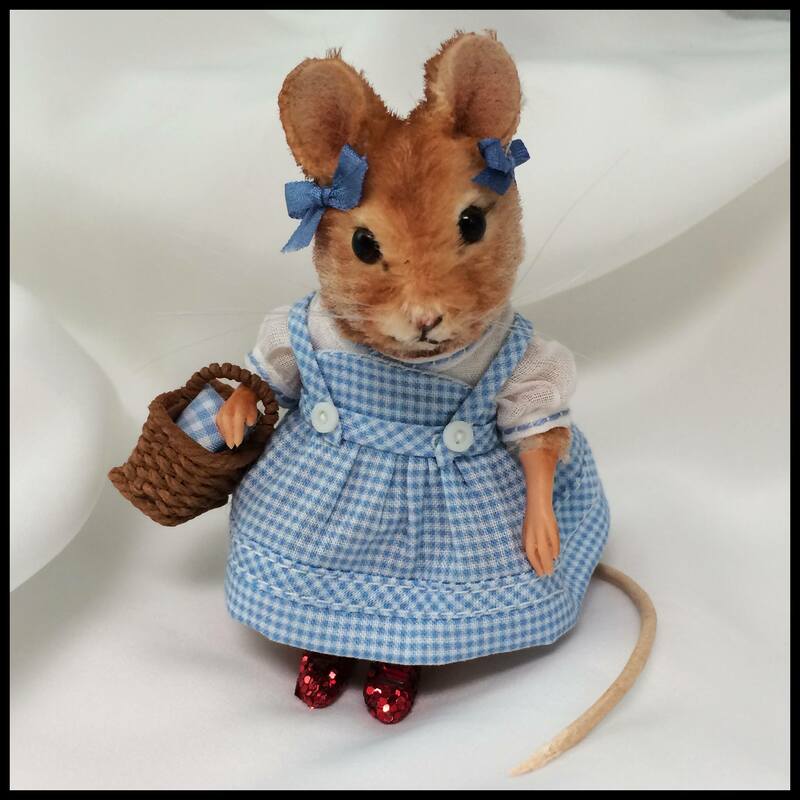 For the first time, Oz's beloved heroine has been brought to life in the form of a mouse! Dorothy is made of fine mohair plush with realistic shading, resin hands and feet, brown glass pupil eyes, inset whiskers, and a leather tail. Measuring just under 3" tall, a built-in metal stand provides effortless display. 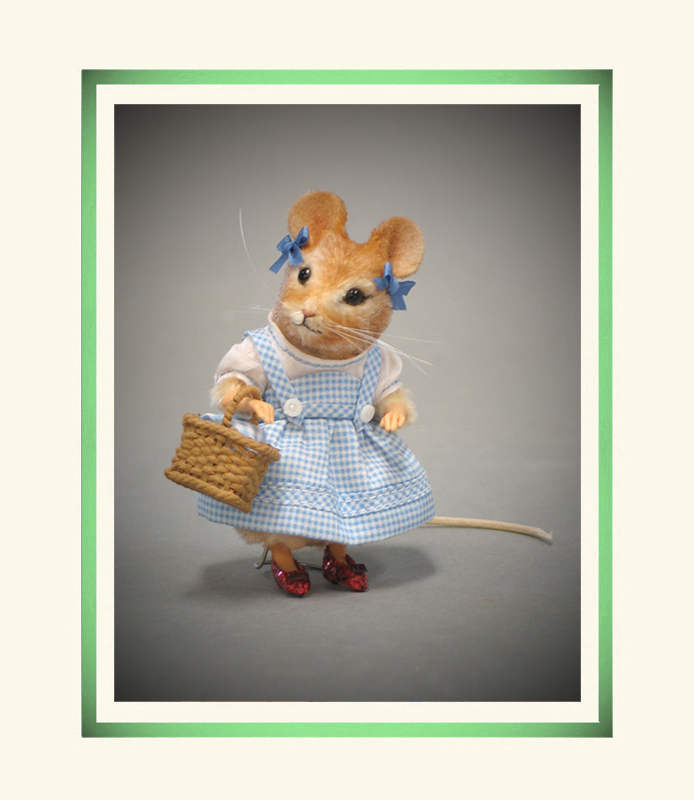 Dorothy comes outfitted in an authentic costume made of custom-made miniature gingham fabric with tiny buttons. Her blouse is made of imported 'fairy cloth' cotton with embroidered trim. On one arm Dorothy holds a miniature basket handwoven at the RJW studio. On her feet she wears the smallest imaginable pair of the famed Ruby Slippers! Dorothy is produced at the R. John Wright Dolls studio workshop in Bennington, Vermont, in a worldwide limited edition of only 250 pieces. Each comes enclosed in a deluxe presentation box with the accompanying signed and numbered certificate of authenticity and the forms for registration. 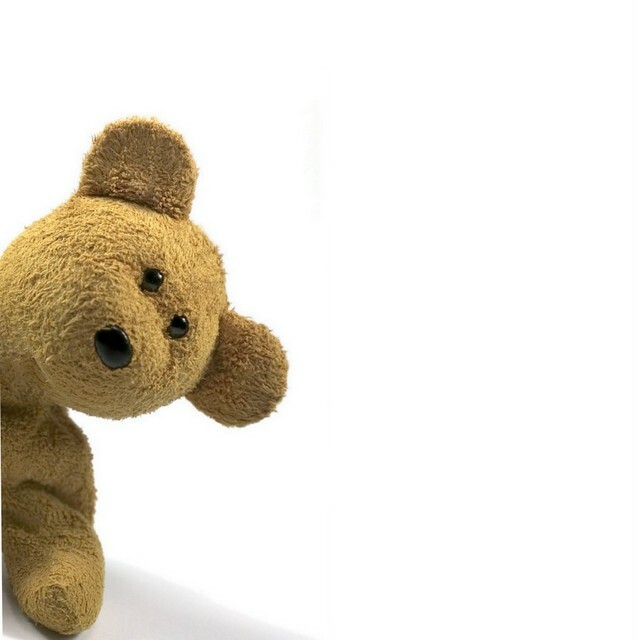 Matching edition numbers will be provided to other characters in the collection subject to availability. The R. John Wright Wizard of Oz Mouse Series is officially licensed by Warner Brothers. <="" warner="" by="" licensed="" officially="" is="" series="" mouse="" oz="" of="" wright="" john="" r.="" the="" availability.="" to="" subject="" collection="" in="" characters="" other="" provided="" be="" will="" numbers="" edition="" matching="" registration.="" for="" forms="" and="" authenticity="" certificate="" numbered="" signed="" accompanying="" with="" box="" presentation="" deluxe="" a="" enclosed="" comes="" each="" pieces.="" 250="" only="" limited="" worldwide="" vermont,="" bennington,="" workshop="" studio="" dolls="" at="" produced="" dorothy="" slippers!="" ruby="" famed="" pair="" imaginable="" smallest="" wears="" she="" feet="" her="" on="" studio.="" rjw="" handwoven="" basket="" miniature="" holds="" arm="" one="" trim.="" embroidered="" cotton="" cloth'="" 'fairy="" imported="" made="" blouse="" buttons.="" tiny="" fabric="" gingham="" custom-made="" costume="" authentic="" an="" outfitted="" display.="" effortless="" provides="" stand="" metal="" built-in="" tall,="" 3"="" under="" just="" measuring="" tail.="" leather="" whiskers,="" inset="" eyes,="" pupil="" glass="" brown="" feet,="" hands="" resin="" shading,="" realistic="" plush="" mohair="" fine="" mouse!="" form="" life="" brought="" been="" has="" heroine="" beloved="" oz's="" time,="" first="">Piece shown below is #199 of a limited edition of 250. <="" warner="" by="" licensed="" officially="" is="" series="" mouse="" oz="" of="" wright="" john="" r.="" the="" availability.="" to="" subject="" collection="" in="" characters="" other="" provided="" be="" will="" numbers="" edition="" matching="" registration.="" for="" forms="" and="" authenticity="" certificate="" numbered="" signed="" accompanying="" with="" box="" presentation="" deluxe="" a="" enclosed="" comes="" each="" pieces.="" 250="" only="" limited="" worldwide="" vermont,="" bennington,="" workshop="" studio="" dolls="" at="" produced="" dorothy="" slippers!="" ruby="" famed="" pair="" imaginable="" smallest="" wears="" she="" feet="" her="" on="" studio.="" rjw="" handwoven="" basket="" miniature="" holds="" arm="" one="" trim.="" embroidered="" cotton="" cloth'="" 'fairy="" imported="" made="" blouse="" buttons.="" tiny="" fabric="" gingham="" custom-made="" costume="" authentic="" an="" outfitted="" display.="" effortless="" provides="" stand="" metal="" built-in="" tall,="" 3"="" under="" just="" measuring="" tail.="" leather="" whiskers,="" inset="" eyes,="" pupil="" glass="" brown="" feet,="" hands="" resin="" shading,="" realistic="" plush="" mohair="" fine="" mouse!="" form="" life="" brought="" been="" has="" heroine="" beloved="" oz's="" time,="" first="">$450. <="" warner="" by="" licensed="" officially="" is="" series="" mouse="" oz="" of="" wright="" john="" r.="" the="" availability.="" to="" subject="" collection="" in="" characters="" other="" provided="" be="" will="" numbers="" edition="" matching="" registration.="" for="" forms="" and="" authenticity="" certificate="" numbered="" signed="" accompanying="" with="" box="" presentation="" deluxe="" a="" enclosed="" comes="" each="" pieces.="" 250="" only="" limited="" worldwide="" vermont,="" bennington,="" workshop="" studio="" dolls="" at="" produced="" dorothy="" slippers!="" ruby="" famed="" pair="" imaginable="" smallest="" wears="" she="" feet="" her="" on="" studio.="" rjw="" handwoven="" basket="" miniature="" holds="" arm="" one="" trim.="" embroidered="" cotton="" cloth'="" 'fairy="" imported="" made="" blouse="" buttons.="" tiny="" fabric="" gingham="" custom-made="" costume="" authentic="" an="" outfitted="" display.="" effortless="" provides="" stand="" metal="" built-in="" tall,="" 3"="" under="" just="" measuring="" tail.="" leather="" whiskers,="" inset="" eyes,="" pupil="" glass="" brown="" feet,="" hands="" resin="" shading,="" realistic="" plush="" mohair="" fine="" mouse!="" form="" life="" brought="" been="" has="" heroine="" beloved="" oz's="" time,="" first="">"Add Dorothy Mouse to Cart" for immediate shipping.